In a recent speech, the director of the Central Intelligence Agency discussed the controversial topic of geoengineering, leading some activists to ask whether the agency is actively and deliberately modifying the weather. Brennan goes on to claim that an SAI geoengineering program could limit global temperature increases, a claim that has been disputed in several studies. For example, Activist Post recently reported on a new analysis released by the Finnish Meteorological Institute. The FMI is the government agency responsible for reporting weather data and forecasts in Finland. The Institute’s study, “Modelling radiative and climate effects of aerosols: from Anthropogenic emissions to geoengineering,” examined the potential for SRM to combat climate change. Despite the knee-jerk dismissal from many casual researchers, the theories might be grounded in reality. In February 2015, while speaking at the annual meeting of the American Association for the Advancement of Science in San Jose, California, Professor Alan Robock discussed the possibility that the CIA is using the weather as a weapon of war. Robock has done research for the intergovernmental panel on climate change (IPCC) in the past. Professor Robock’s fears of the government using the weather as a weapon are not completely unfounded. In a 1996 document entitled “Weather as a Force Multiplier: Owning the Weather by 2025” the U.S. Air Force discusses a number of proposals for using the weather as a weapon. 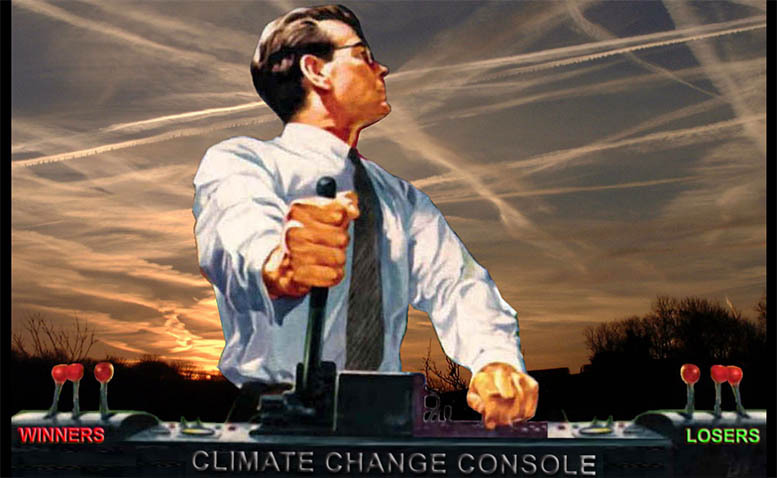 The Environmental Modification Treaty was signed by the United States and other nations to halt global weather modification. Whether or not Professor Robock’s theory is correct remains to be seen; but for now, Director Brennan’s speech makes it perfectly clear that America’s favorite spy agency is interested in manipulating the weather on a global scale. Whether it’s happening already or will be in the near future, the thought of the CIA (or any agency of government) using the weather as a weapon of war should make it clear that the U.S. government is not operating with reason or concern for the people.